I know three ways to improve thyroid function – avoid thyroid toxins, regulate goitrogens and get specific thyroid nutrients. While Hashimoto’s thyroiditis is rampant, it’s not the only cause of poor thyroid function. Many chemicals and toxins prevent manufacture or conversion of T4 to the active hormone T3. 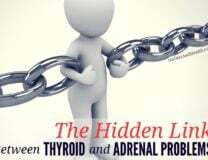 Poor adrenal function, illness, injury and stress play a big role in down-regulating the thyroid. 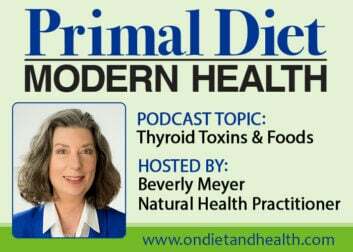 Enjoy my Primal Diet – Modern Health podcast on this topic on the player above or on iTunes. The thyroid takes in blood to find Iodine, a member of the Halogen family. What it often finds instead are forms of the toxic halogens Fluorine, Bromine and Chlorine. Where do we get toxic Halogens? How to best avoid Halogens? What else is a Thyroid Toxin? 1). Pesticides and BPA (plastics, canned foods, paper receipts) are toxic to the thyroid and whole body. Avoid them and use high quality antioxidants daily to help your liver dispose of these. Here’s one and one more in my online store………. 2). Heavy metals such as Mercury block the conversion of T4 hormone to the active thyroid hormone T3. I ask all my clients to remove mercury fillings and take 200 mcg. Selenium daily for life. It’s affordable and widely available such as here on Amazon. Three Brazil Nuts daily provide that amount of Selenium. I buy them soaked and dehydrated like these. Yum! 4). Perchlorates found in jet fuel, fireworks and manufacturing processes is in our land and in our water. It prevents the manufacture of thyroid hormone. 5). Phthalates are found in plastics. Stick with glass or stainless water bottles and food storage. Avoid fruit drinks and juices sold in plastic. 6). Triclosan antibacterial in soaps and hand sanitizer. Buy safer brands at the health food store. 7). Gluten antibodies can attack the thyroid. 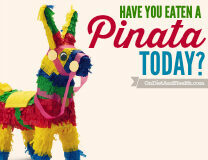 I recommend all my clients avoid gluten, and in fact most all grains and dairy too (except ghee). If you have Hashimoto’s, this will help reduce antibody levels. 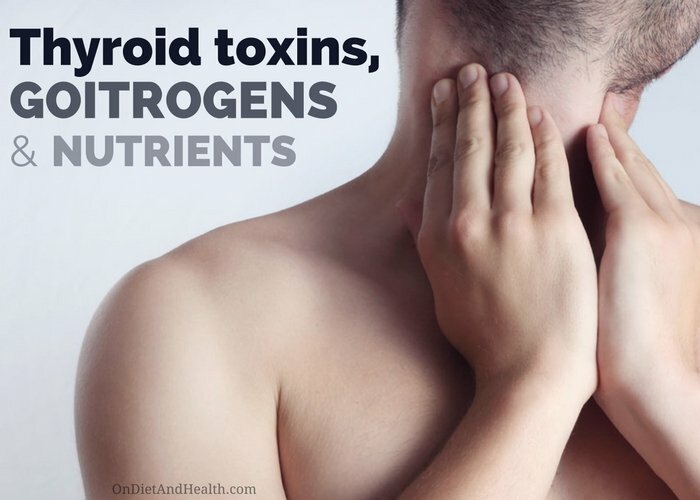 Goitrogens are naturally occurring food chemicals that interfere with Iodine uptake. If there is inadequate Iodine, the Pituitary gland increases TSH (Thyroid Stimulating Hormone), asking for more thyroid hormone. This can cause enlargement of the thyroid gland as it attempts to make more thyroid. High TSH in Hashimoto’s also causes goiter (enlargement) for this reason. The main Goitrogen to avoid is SOY. Fermented soy such as gluten-free Tamari or Tempeh are OK, but soy is one “food” that should be avoided by everyone – animals too! Here’s my Primal Diet – Modern Health podcast with Dr. Kaayla Daniels, author of “The Whole Soy Story” for more…. Goitrogens are found in dozens of nutrient-dense cruciferous foods such as kale, collards, brussels sprouts, broccoli and many more. Cooking will reduce the amount of goitrogen substance about a third. Don’t use too much raw kale or collards in your veggie smoothies. 1). Iodine: The thyroid (and the rest of the body) requires Iodine to function. Not much, in my opinion, and much less than many say. Depending on who you read, iodine requirements can range from 120 mcg. a day to 12 mg. per day (100 times more than 120 mcg.). We get Iodine almost exclusively from Seafoods (cod, scallops, shrimp) and Sea Vegetables such as Kelp (#1), Dulse, Wakame, Nori (not much). There is some Iodine in inland foods such as poultry, veggies, etc. but not nearly as much coastal foods. 2). 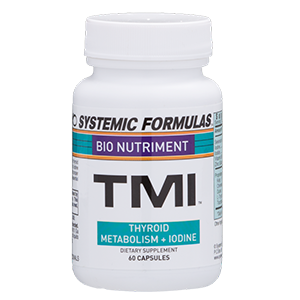 Or, I sell Systemic Formula’s “Thyroid Metabolism Plus Iodine” (TMI) in my online store. It’s a great mix of balanced Iodine and Iodide as well as 100 mcg. Selenium and other thyroid nutrients. Check it out here, or with Gf-Thyroid and Ga – Adrenal. 3). Selenium: Iodine in excess can trigger autoimmune thyroiditis IF Selenium is deficient. Keep those daily Brazil Nuts coming, and/or take a Selenium several days a week. 4). And Selenium again: Selenium helps clear Mercury from the body, along with other antioxidants for the liver. This superior anitoxidant has a unique form of Glutathione plus Selenium and other cofactors. 5). Systemic Formulas Gf-Thyroid has seaweed as well as thyroid nutrients and homeopathic Thyroid 6X. It is a top seller in my clinic but NOT if you’re already taking thyroid hormone. Check it out here. 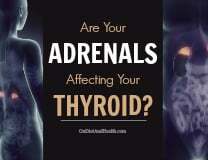 Does Iodine Cause Autoimmune Thyroid? Iodine can trigger or exacerbate autoimmune thyroid disease when selenium is insufficient. because selenium can at without any negative effect. Most everyone can tolerate some sea vegetables every week but I never recommend high dose Iodine supplements to anyone. (Ioderal is one example of what to avoid). Pregnant women need to be careful with goitrogens as Iodine is a crucial nutrient during pregnancy. Add some sea vegetables, plenty of seafood, and perhaps cut back a bit on the foods highest in goitrogens. As I wrote about in this article (and others) low cortisol levels will suppress thyroid activity. This is the body’s safety mechanism so a tired body will slow down and recuperate. Many doctors will just keep increasing your thyroid dose but this is totally wrong. test the Cortisol load with this saliva test and treat the adrenals first. If you have Hashimoto’s or a frank thyroid deficiency, treat both at the same time. Never stop thyroid medication unless a qualified Naturopath feels comfortable slowing weaning you off. Do-it-Yourself Thyroid Tests is here. 9 Causes of Hypothyroidism You May Not Know is here. 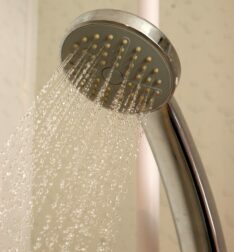 And this one from Food Renegade tells you more about chlorine in your bath and shower water.